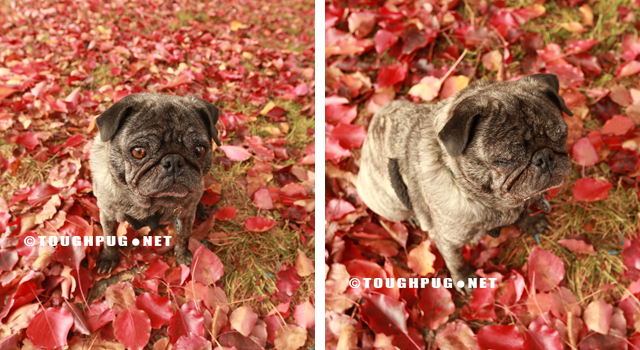 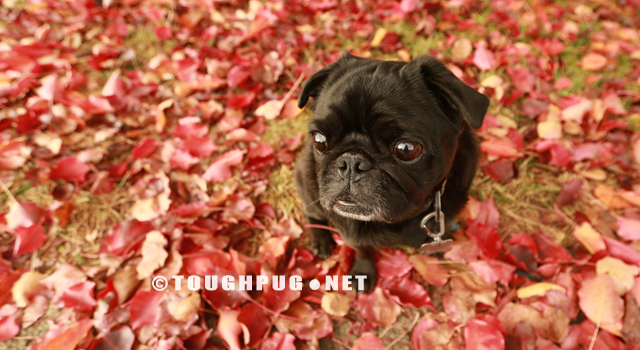 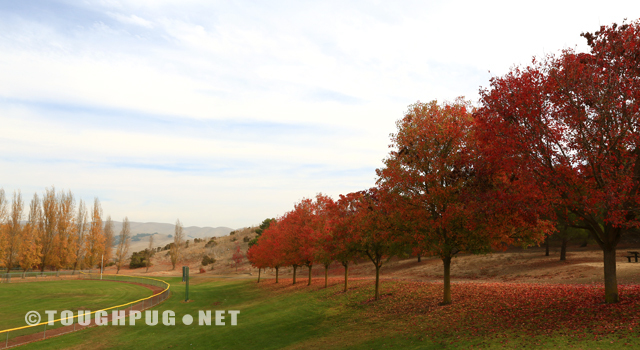 The best part of autumn in California, according to our pugs, is the fallen leaves. 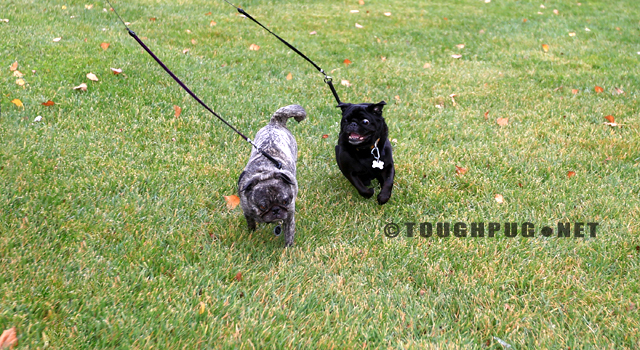 Apparently, they smell good, and are fun to kick, dig, and roll around in. 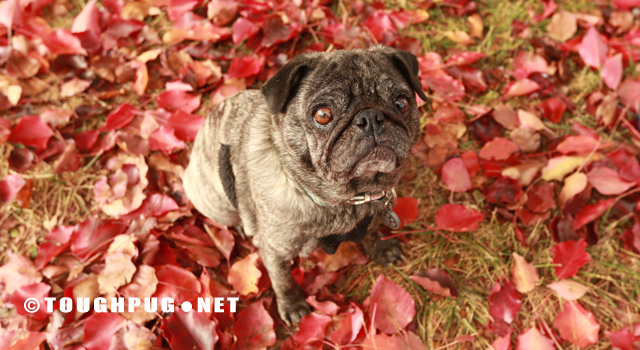 They are crispy gifts from heaven that are bestowed upon our pugs to be played with and then peed on, raked up and then replenished. 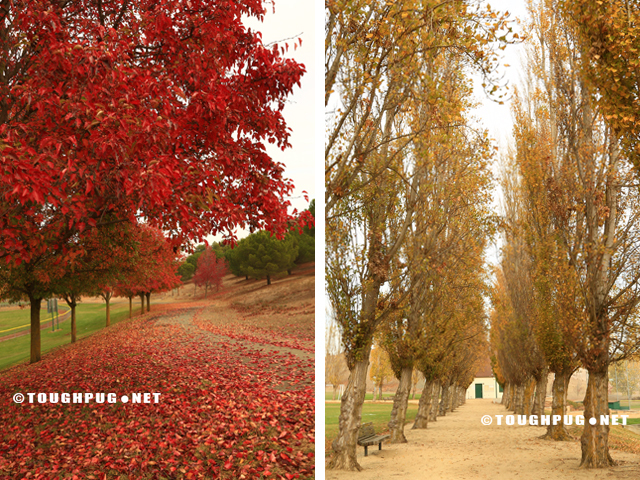 Autumn might be their favorite season. 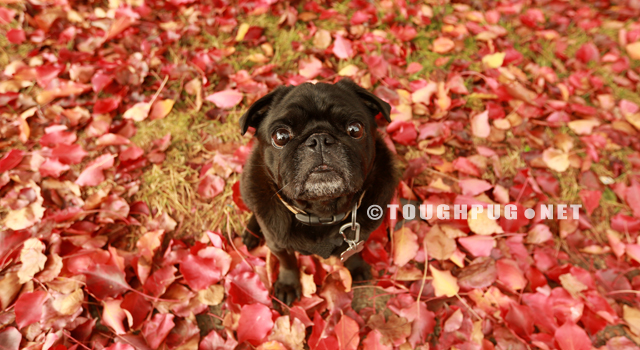 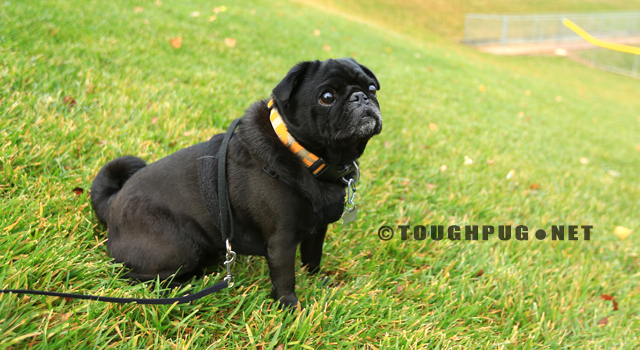 This entry was posted in Our Life and tagged black pug, brindle, bugg, Kento, Moka, walk.